New Delhi: A day after Home Minister Rajnath Singh announced that a CBI probe had been ordered into the alleged paper leak in one of the tests of the Staff Selection Commission (SSC) held last month, protests by candidates continue outside the Commission's office though the crowd has thinned out. 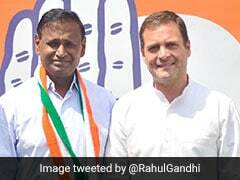 Among them is 26-year-old Deepak Prajapati, a graduate from Gwalior in Madhya Pradesh. "My father is a farmer and I have taken a loan from friends for extra classes. I have also spent three years preparing for the exams but some students get through them on the basis of money power and by cheating. It is demoralising," he said. "We have accepted demands of protesting candidates and have given orders for CBI inquiry. The protest of the students should stop now," Mr Singh told reporters on Monday. Protesters say they want a written confirmation from the government on the CBI probe. At least 500 aspirants continue their protest, demanding a written confirmation from the government on the CBI probe. 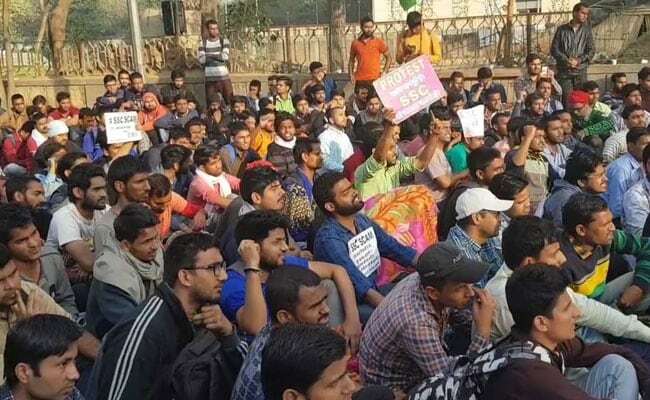 The protesters also want a time-bound inquiry into the alleged leak in the combined graduate level exam (SSC CGL Exam-Tier II) held from February 17 to 22. Screenshots of some questions along with answers had gone viral, sparking allegations of malpractices. The SSC conducts examinations to recruit non-gazetted staff for various central ministries and subordinate departments. This year 189,843 candidates appeared for nearly 9,372 vacancies. The examinations are conducted in an online format at centres chosen by the SSC. Stringent security at the centres means each candidate is frisked, cuffs checked and shoes taken off. Neither candidates nor invigilators are allowed to carry phones, bags or watches. On Sunday, a delegation of the protesting candidates had met the SSC chairman. Neha Malik, one of the candidates who was part of the delegation along with Delhi BJP chief Manoj Tiwari, described the meeting as a rushed one. "They didn't really hear us out properly but said they will recommend a CBI inquiry. Students here are skeptical. They want a time-bound response because they are losing out on crucial time," said Neha. SSC had earlier cancelled the exam held on February 21 on technical grounds and rescheduled it for March 9. But some of the candidates are not keen on writing the test again. "What is the point? I will work hard again but eventually malpractices in the examination system will triumph," says Swati Chaturvedi, a candidate.